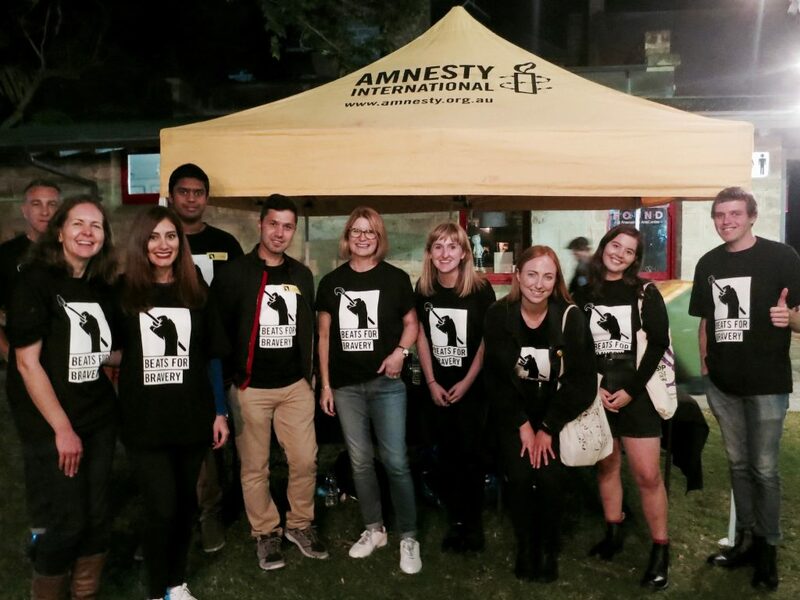 On the 24th of November, Amnesty Fremantle held their inaugural Beats for Bravery event. 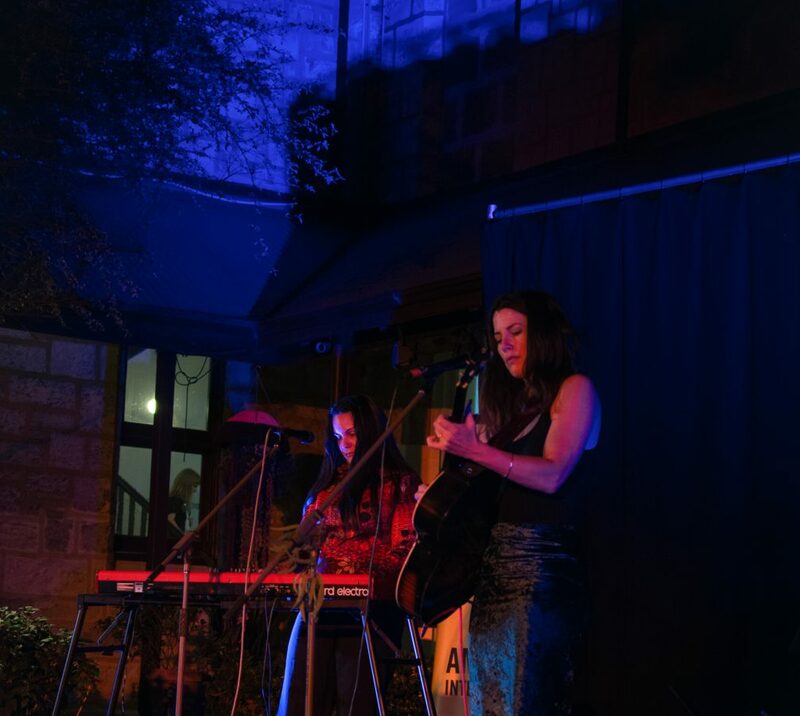 In the picturesque courtyard of the Fremantle Arts Centre, talented local musicians and artists came together to stand up for human rights. 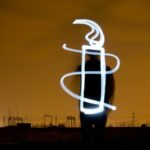 The event was comprised of two parts; the first was a concert, with amazing performances from 5 local musicians including Grievous Bodily Calm and Lucy Peach, all who donated their time and dedicated their performances to the work that Amnesty continues to do for human rights. 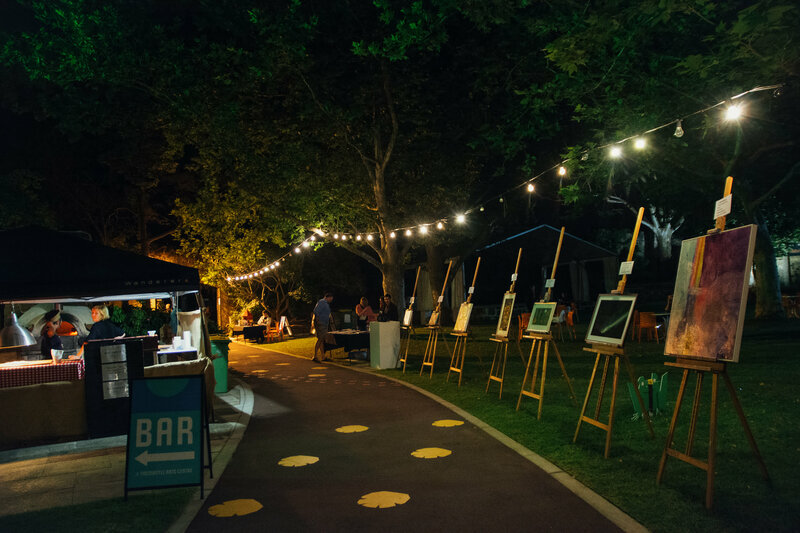 In addition to the concert, there was a silent auction of eight artworks, generously donated by artists, varying from abstracts from David Spencer and Jo Darbyshire, to crochet and ceramic sculptures by Holly O’Meehan. Our philanthropy manager, Chamira Gamage, came from Sydney to run a special pre-event mixer for some of our donors. 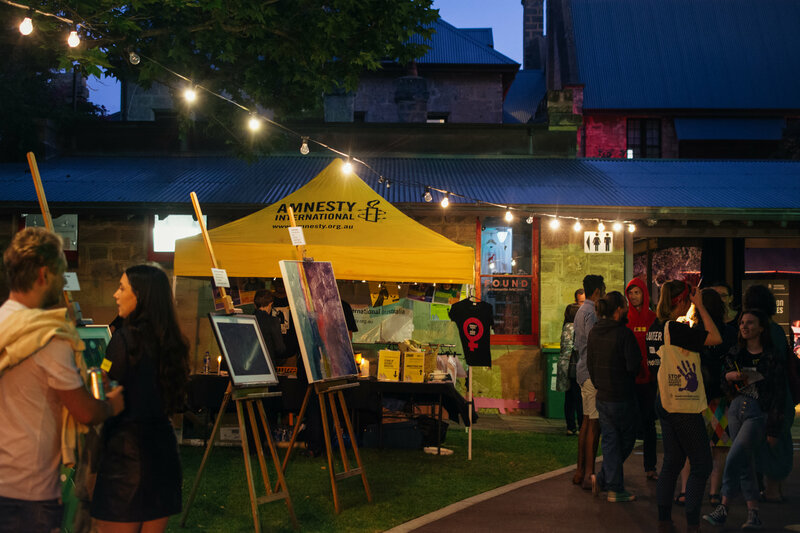 With event-goers placing bids throughout the evening, combined with our entry donations and raffle ticket sales, we were able to raise thousands of dollars to go towards continuing Amnesty International’s research into human rights abuses around the world. Beats for Bravery was a celebration of the 70 year anniversary of the Universal Declaration of Human Rights, which enshrined the inalienable rights of all people. However, it was also an opportunity for the Fremantle community to stand up for, and stand up with, brave human rights defenders. We used the evening as an opportunity to take action for Amnesty’s Write for Right campaigns, focusing specifically on the case of Nonhle Mbuthuma. Nonhle is a South African activist, campaigning for her ancestral land rights against a Perth-based titanium mining company. This case resonated well in the Fremantle area, as there are a vast number of environmental activists in the community. Our guest speaker for the event was Kate Kelly, a local conservationist and convenor of the Save Beeliar Wetlands, Rethink the Link and Clean State campaigns. She observed that “environmental and human rights, and access to them, are standards against which we can measure the integrity of civil society and democratic progress”, as she spoke on her experience in the environmental activism space. Beats for Bravery was opened with an address from Fremantle Mayor Brad Pettitt, who spoke to the welcoming nature of the Fremantle community, and its reputation for creating progressive changes towards equality and diversity. Amnesty’s own Community Organizing manager Sarah Gooderham inspired attendees to action- resultantly, over 85% of attendees took action for our Write for Rights campaign. We couldn’t have put this event on without the work of our amazing volunteers, both from within our existing activist group and also some new recruits, whose effort made this night the success that it was!